The 11-county Minneapolis-Saint Paul region consistently ranks among the best places to live and do business in the United States. Three things set it apart: a robust, diverse economy; a highly educated workforce; and an outstanding quality of life. Anchored by the cities of Minneapolis, Saint Paul and Bloomington, this thriving metro area includes some of the fastest growing counties in Minnesota and one of the strongest economies in the U.S.
Click here to request a Relocation Kit. Welcome to the Minneapolis-Saint Paul Area! 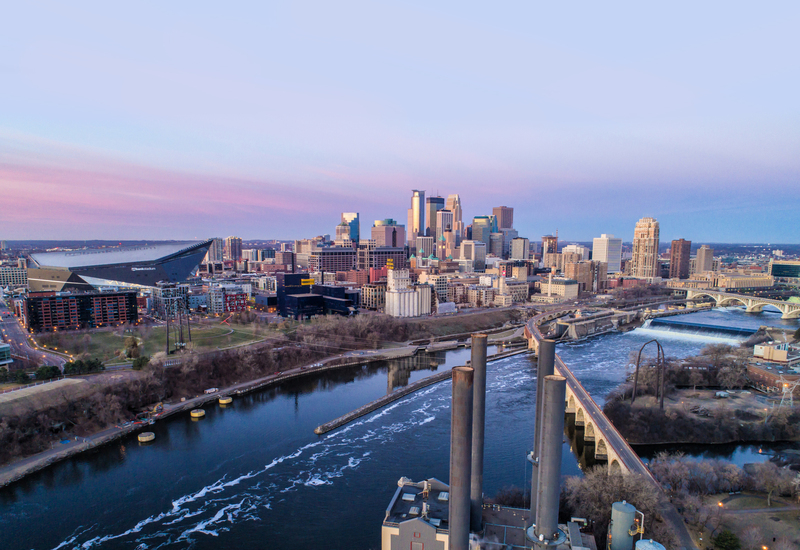 Minneapolis, Saint Paul and our neighboring communities are collectively referred to as the Twin Cities, and are renowned for its cultural and recreational opportunities and beautiful natural surroundings. The Minneapolis-Saint Paul area is best known for its rich natural environment. Each season offers ample opportunity to explore the natural world in a variety of contexts. The Minneapolis/Saint Paul metro area’s nationally renowned system of regional parks and lakes are extensive with 136,900 acres of parkland and 950 lakes in the metro area alone. Hiking, fishing, swimming, golfing, snow shoeing, boating, or evening walks around Lake Calhoun are all popular and accessible activities for any visitor. Additionally, the metro area offers a wide selection of cultural and entertainment offerings. There are several public museums, private art galleries, music and arts festivals, historic theaters that offer drama, comedy and music, and a plethora of cuisine options suitable for even the most discerning palate. If sports are your preferred form of recreation, you will find a variety of options. As a spectator you have it all. Each major professional sport is represented in the Minneapolis-Saint Paul area: Vikings, Timberwolves, Wild, Twins, Lynx and Thunder. The University of Minnesota teams are another possibility, and so are the St. Paul Saints, a minor league baseball team that is a local favorite for a fun summer evening. The Twin Cities also offer extensive opportunities to shop for unique Minnesota goods and services. Downtown Minneapolis has 2 million square feet of retail, one of the highest concentrations of shops in any city its size. The Nicollet Mall and the Uptown area are two of the most popular and well-known shopping districts. For pure shopping power, there is no better fit than the nation's largest shopping center, Mall of America.